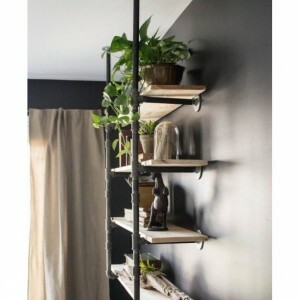 Black Pipe Bookshelf, Open Bookshelf, Wall/Ceiling Mounted Bookshelf, Parts Kit for "DIY" Project, Easy to Assemble, SAVE MONEY!! Easy "do it yourself" project for your home or office. If this bookshelf isn't exactly what you're looking for I can also customize a bookshelf hardware kit to fit your needs. Shoot me a message with a description with measurements and I can put together a quote for your custom bookshelf. 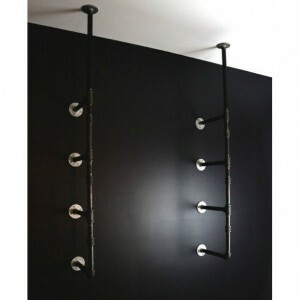 SAVE hundreds of dollars off of my competitors pricing by doing this "DIY" project yourself. 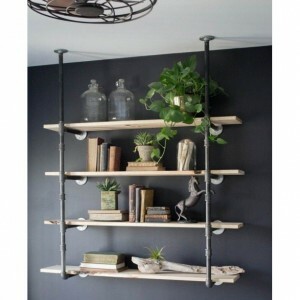 Similar completely assembled shelving units go for over $400 on ETSY! This is your chance to save BIG money and build it yourself. Please read the recent 5 star review on this item. 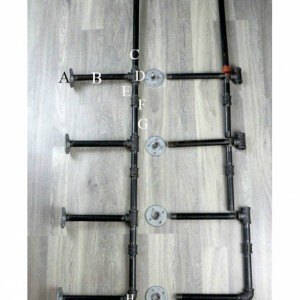 Black Pipe Shelf, Open Bookshelf System, Complete Parts Kit for "DIY" Project All of the parts needed (pipes and fittings) to complete this unique open bookshelf system. ***Wood shelves not included with purchase. Fully customizable shelving support system to accommodate shelving from 16" to up 60". You decide how wide you want the Bookshelf System. 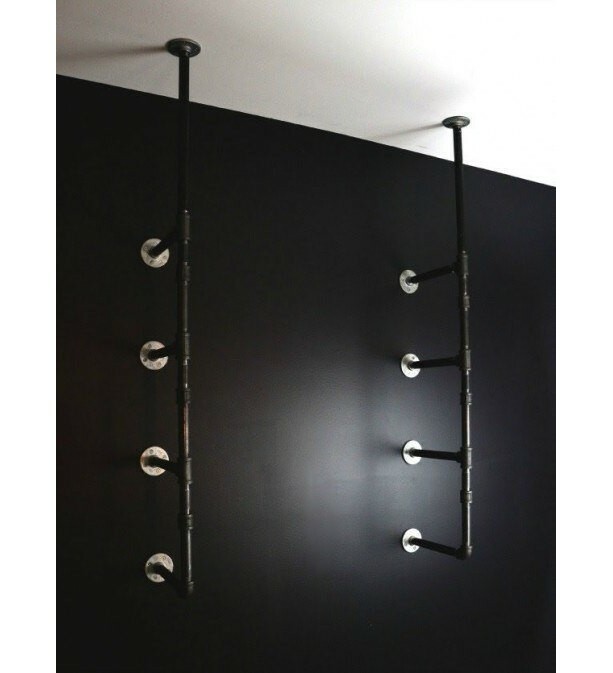 If you think you'll need more than 2 support brackets I can customize this unit and listing for you, just ask. You can request custom orders if you need 3 or more support shelf brackets (for extra support for units over 60" wide). The shelf boards can be purchased at most lumber yards or big box retailers (Home Depot) very Inexpensively. I don't currently offer the shelving for purchase due to the high expense of shipping these items. 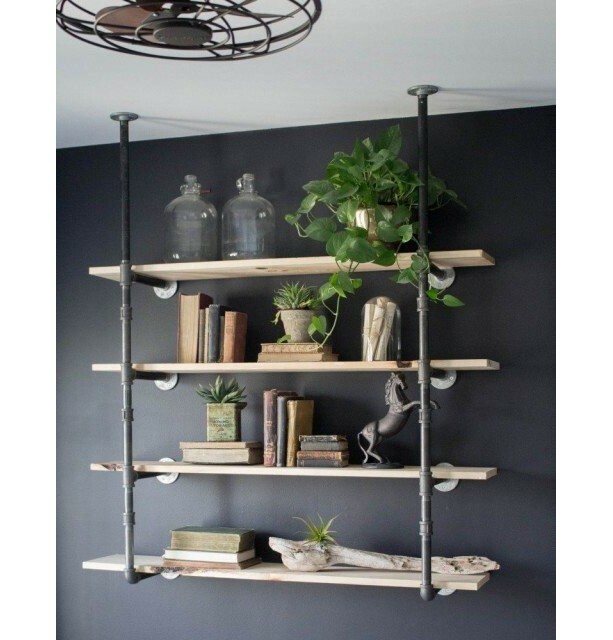 Photo #1 shows the shelf brackets/bookshelf system spaced 4 feet apart with 5 foot shelf boards (overhanging approximately 11" on each side) and approximately 60" tall from the ceiling to the bottom wall mounted round flange. Shelf brackets can be spaced more or less depending on thickness of shelf boards and preference of spacing (size of shelf unit). 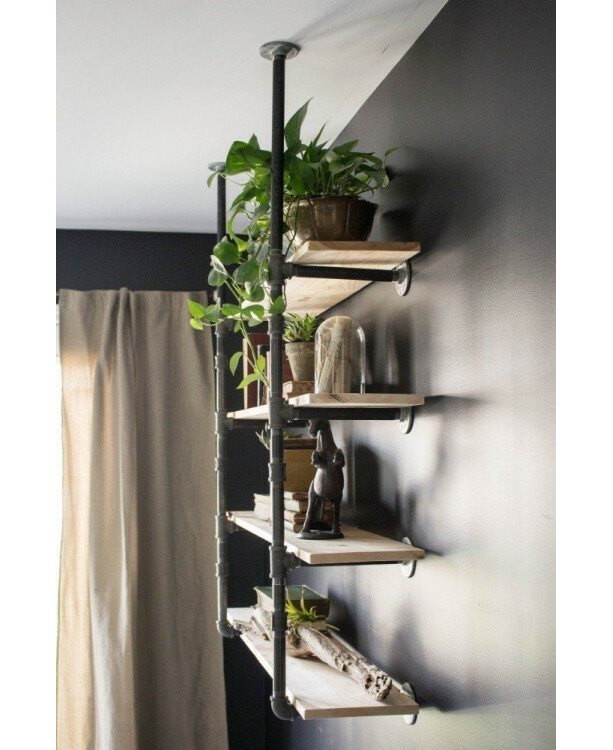 Shelf brackets can hold over 150 pounds if properly fastened into wood wall framing. Detailed assembly instructions can be emailed to you upon request. 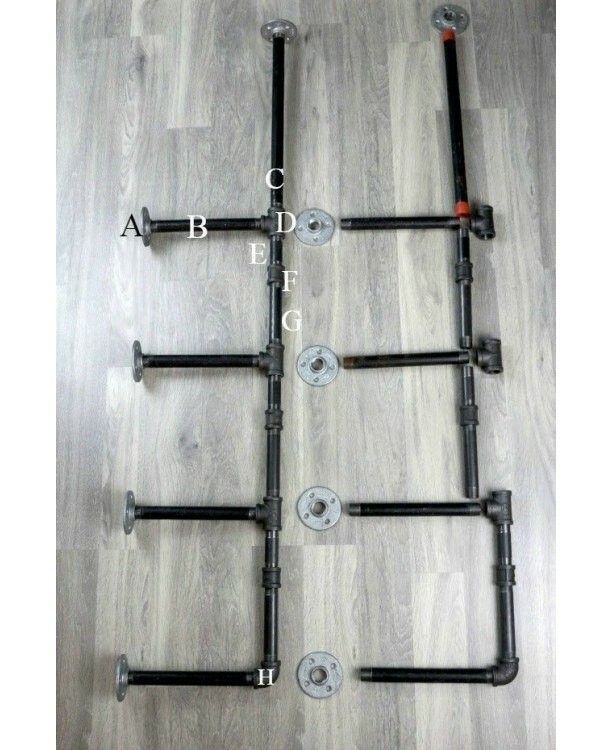 Included with purchase is: 10- 1/2″ Galvanized (silver) mounting flanges (8 for wall; 2 for ceiling) 8- 1/2″ x 10″ pipe 2- 1/2″ x 18″ pipe 6- 1/2″ 3-way tee 6- 1/2″ x 3 1/2″ pipe 6- 1/2″ connector couplings 6- 1/2″x 6″ pipe 2- 1/2″ 90-degree elbow Assembly and cleaning of pipe required. ***NOTE: If this bookshelf isn't exactly what you're looking for I can also customize a bookshelf hardware kit to fit your needs. Shoot me a message with a description with measurements and I can put together a quote for your custom bookshelf.